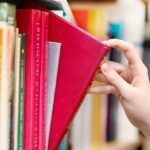 Home » Technology News and Business Updates Of Pakistan » Why It Is Better To Order Academic Books Online? Why It Is Better To Order Academic Books Online? As a student, there are enough worries in life. With all the semester work that has to be done, all the projects, quizzes, assignments and even extracurricular activities, there is no time to worry about idle things. Amongst worries, whether you will get the right edition of the book the instructor asked you to get, or whether you will get it at the right price is one of the top ones for students. After all, when it comes to academic books, there is no margin for error. These books are not only essential in guiding us through the semester but they impart knowledge that may last a lifetime. That is why most, if not all, university students in Pakistan have started noticing a shift in the trend of buying academic books, and the shift predominantly is to the online book retail stores. Though there may not be as many online bookstores in Pakistan as there are in other countries, yet with the recent trend of online shopping, books are not only a part of this trend but have led the way. After all, Amazon.com started by selling books and now it is one of the largest companies in the world. This does not happen by mere coincidence. As humans, we love the convenience and buying stuff online is the epitome of that. Yet, when it comes to academic books, it isn’t all about convenience, as we shall discuss further. There are certain requirements from academic books that the conventional brick and mortar bookshops can no longer fulfill. So let us see why it is better to order academic books online. More Time to get it Right: You don’t want to make a mistake when it comes to academic books. Besides not being able to follow what’s happening in class because you might have the wrong editions, there will be a lot of stress in returning the book, and whether the bookshop owner, would even let it be returned. However, when you are ordering online, you have the time you need to get it right. You can research thoroughly and order the exact academic book and the exact version of that book from an online retail store. Even if you make a mistake and get the wrong version, online bookstores such as Booksinn let you return the book. This applies even if the online supplier accidentally sends you the wrong book or the courier service might make a mistake in delivering the book. Availability of Information: When it comes to books, you might not have all the information at a conventional brick and mortar bookshop. It may be an ironic statement in and of itself, yet it holds true. When you go to buy an academic book to a physical, store there many tiny pieces of information that might not be available where it is shelved. Yet, on an online website, all the relevant information of the book is listed alongside it so that you are aware of the price, the condition, the IBAN as well as the edition and the authors of the book and possible alternatives to it. This helps a student pick out academic books out easily online as compared to in an actual store. These were just some of the reasons why you should consider buying books, particularly academic books, online. Other than these reasons, many other factors might determine how effectively you are able to acquire books online compared to at a physical store. Though it is true the trend of online books in Pakistan is not as popular as in some other countries, particularly in Europe and the United States, yet in a few years, it will have blossomed here as well.